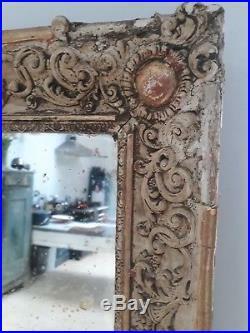 Wonderful Distressed French Mercury Mirror. This mirror has such a good look. 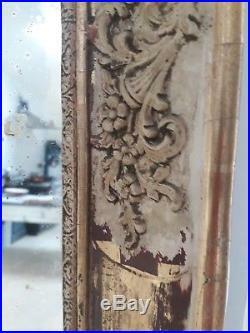 It is French and dates from about 1850. 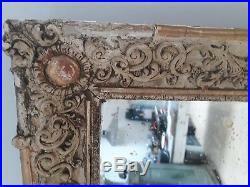 The frame is gesso, with original gilding and lovely details of flowers and cartouches. There is damage but I feel it in no way detracts from the look. 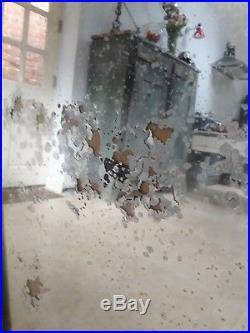 The original mercury plate is distressed with foxing and marks. It has its original backboards. The mirror can be hung either portrait or landscape. 95 cm x 150 cm. Look at the pictures carefully. 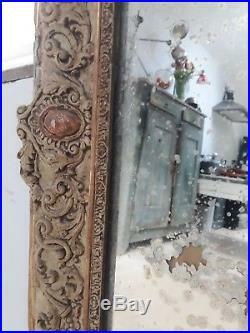 This is not a new mirror and has damage but overall it has a fantastic look. If you have any further questions do not hesitate in getting in touch. If you would like to come and see it we are based near Devizes, Wiltshire. 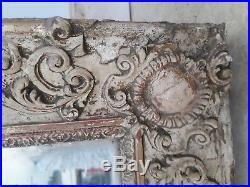 The item "Wonderful Distressed French Mercury Mirror" is in sale since Monday, January 29, 2018. 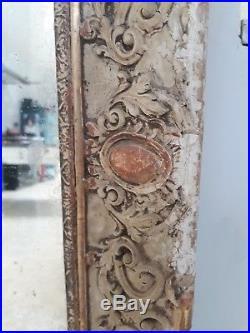 This item is in the category "Antiques\Antique Furniture\Mirrors\Victorian (1837-1901)". 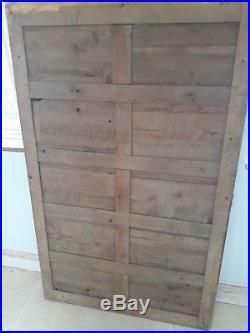 The seller is "bshabby" and is located in Melksham, Wiltshire. This item can be shipped to United Kingdom.